Charming Home! 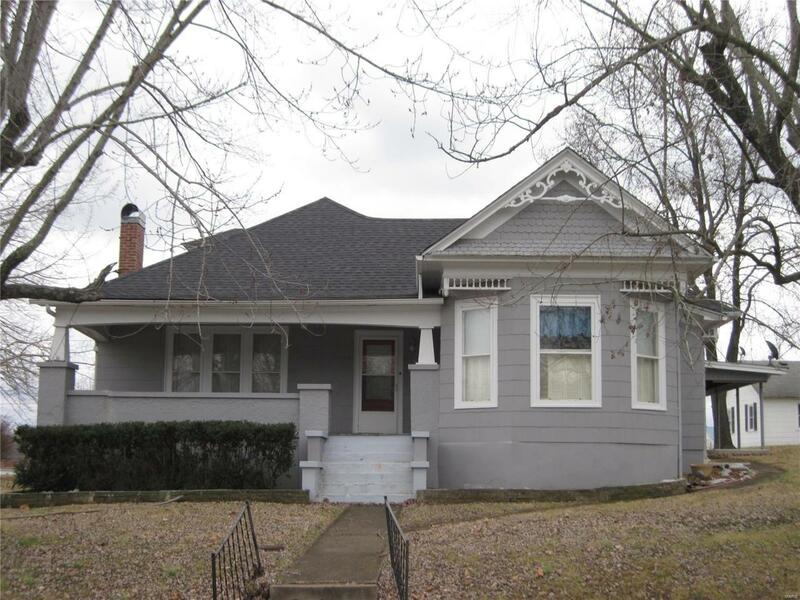 Take a step back in time w/ this well maintained 3 BR, 1 1/2 BA home located in downtown Salem! Built in 1901 this home has lots of updates, but still boasts original touches. Galley style kitchen w/ swing through doors, built-in cabinets/shelves, stove, dishwasher, and refrigerator. Separate dining room area. French doors lead to the living room w/ a wood burning fireplace. Original hardwood floors located in all bedrooms, dining room, and living room. Large master bedroom w/ a walk-in closet. Built-in closets & shelves throughout home. Main level bath remodeled in 2016. New roof in 2018. Central A/C, and new natural gas furnace installed in 2016. Insulation added to the entire home in 2011. Partial walk-out basement. Sun-room which can be converted to a screened in porch or main level laundry located off the kitchen. Large covered front porch. Updated masonry work to the chimney & flu in 2018. Carport new in 2000. Large .341 double lot. Priced at $89,900.00! Listing provided courtesy of United Country Salem Realty. Listing information © 2019 Mid America Regional Information Systems, Inc.